Did you know that Haitians and Haitian-Americans represent the second largest black immigrant group living in the United States today? Center for American Progress estimated that there are 3.7 million black immigrants currently in the United States. With the number of Haitians living in the US estimated at 676,000, we are only second to Jamaicans whom their number is estimated at 693,000. We may well surpass the Jamaicans if you want to take in consideration the Haitians living without legal documentation. - 3.6 percent come from South America. In 2015, there were about 676,000 Haitian immigrants in the United States. It was a significant rise from the 2010 figure of 587,000. Haitians account for nearly 2% of the U.S. foreign-born population. Out of the total 3.7 million immigrants in the U.S, 8.8% of the immigrant population are black. They come from a diverse group of countries, primarily in the Caribbean, Latin America-- 48% of them come from the Caribbean, 43% of African countries, and 3.6% from South America. Recent statistics show that the largest individual home countries of black immigrants in the United States today are Jamaica (693,000), Haiti (668,223), Nigeria (306,874), Ethiopia (244,924), and Trinidad and Tobago (242,661). In 2015, there were 619,000 unauthorized black immigrants living in the U.S. As per Centre for American Progress Report, about 29% of the black immigrants aged 25 and older hold a bachelor's or advanced degree, similar to the rate for all immigrants (30%) and overall U.S. population. Black immigrants from Africa are more likely than Americans overall to have a college degree or higher. It is important to note that there were no numbers of Haitian immigrants before 1932 because then Haitians were the classified as Caribbean immigrants. 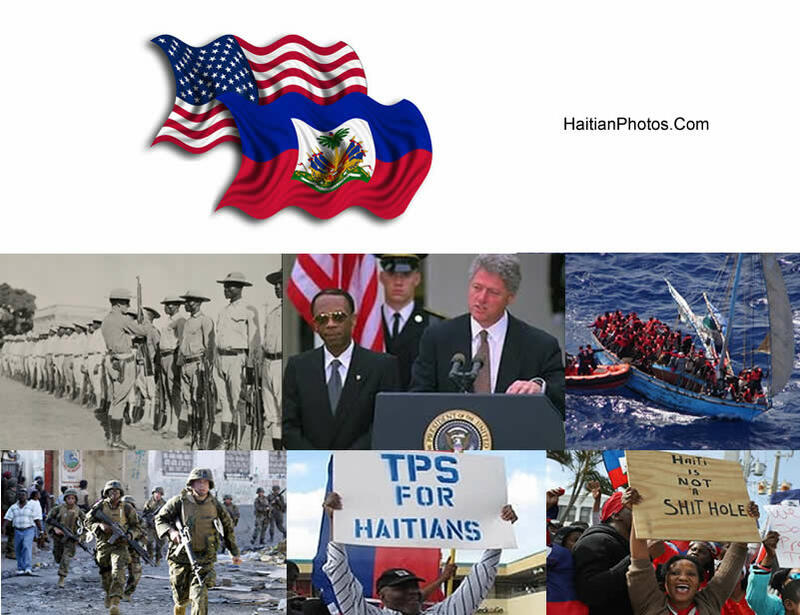 Haitians started immigrating to the United States in the early 1800s, but did not receive much attention until the 1950s and early 1960s when Haitian immigration to the U.S. began to increase visibly. While just 5,000 Haitians lived in the United States in 1960, beginning in December 1972, a stream of Haitian "boat people" fled the brutal Duvalier dictatorship in Haiti for the United States. In May 1981, U.S. immigration officials began detaining all undocumented Haitians without the possibility of bond. During 1950s and 1960s, the migrated Haitians were professional and highly-skilled workers, the Haitian educational and economic elite that were exiled by Duvalier. In the mid 1970s, Haitian immigrants were lower-middle class (known as boat people). Like many Latino groups of immigrants, Haitian immigrants initially intended to return to their homeland, but cannot because of unstable political and poor economic reasons. Little Haiti of New York, spanning a large portions of Flatbush and Nostrand Avenues, from Parkside Avenue to Avenue H in New York City has been officially designated. This section of Brooklyn where generations after generations of Haitians have landed has been finally designated. We can all say that there is now a Little Haiti In Flatbush and another one in Miami, Florida. June, 2018: Haitian-Americans gathered in Flatbush street corner to celebrate the creation of "Little Haiti Business and Cultural District.". 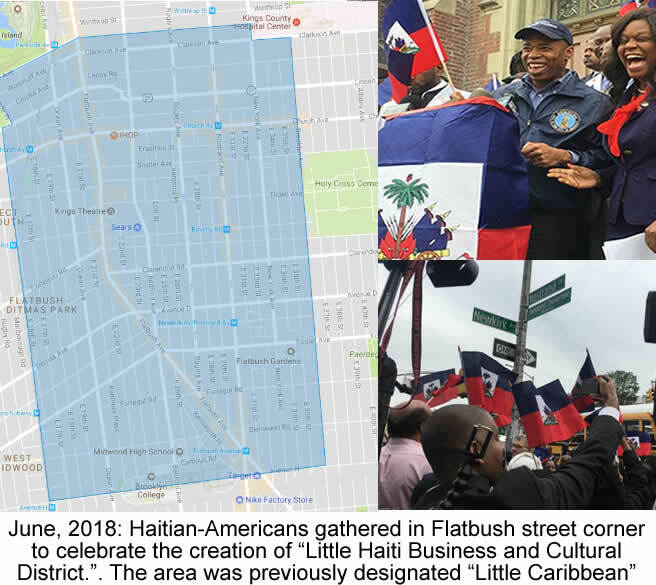 The area was previously designated "Little Caribbean"
As per news dated June 5, 2018, after years of meetings and planning, the New York City Council announced a ceremonial resolution to name a certain section of Flatbush "Little Haiti." Rodneyse Bichotte, State Senator Kevin Parker, and Councilmember Jumaane Williams, along with local organizations and community members are among the spearheads to designate a part of Flatbush as the Little Haiti Cultural & Business District. However, according to Rodneyse Bichotte, who is the first Haitian-American to be elected to the State Legislature from New York City, although the Haitian community supports the designation of both 'Little Haiti' and 'Little Caribbean,' "the decision to name Flatbush Avenue 'Little Caribbean' was done without enough community support or involvement." The proposal generated support mostly from Haitian communities like the Haitian American Caucus, Haitian American Business Network Chamber of Commerce and Haiti Cultural Exchange. Even the move of Bichotte and a host of other elected officials and activists to name "Little Haiti" has been met with criticism and termed as "misguided" and one of "division." In an email to Bichotte, a host of some elected officials, including Council Member Mathieu Eugene and Rep. Yvette D. Clark, Ernest Skinner, a local community organizer and activist, have asked, "When did Haiti stop being part of the Caribbean? Sowing division may be why Haiti has never been able to reach its full potential." The designation for "Little Caribbean" was initiated by Flatbush native Shelley Worrell, founder of CaribBEING, a local non-profit cultural institution founded in 1999. CaribBEING celebrates Caribbean heritage in the rapidly gentrifying neighborhood of Flatbush, Brooklyn. She is a longtime supporter of the Little Caribbean and she is trying to preserve and celebrate Caribbean food, culture and small businesses in this area. Shelly bought a shipping container and turned it into a pop-up art space. She transformed every inch of her container with the feel of a breezy, beachside Caribbean aura. In a statement Bichotte has said that Haiti has had a unique position within the Caribbean -- it is geographically in the Caribbean, but not of the Caribbean. History has created its distinct identity which is why Haitians have had to build separate communities and organizations in order to survive. 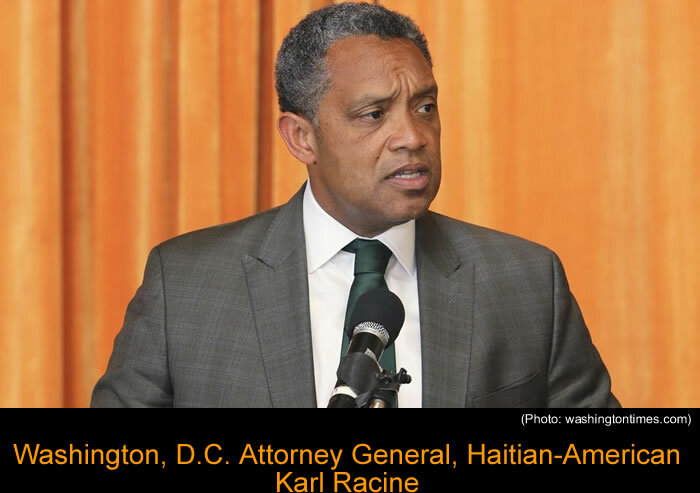 Here is a picture of Washington, D.C. Attorney General, Haitian-American Karl Racine. 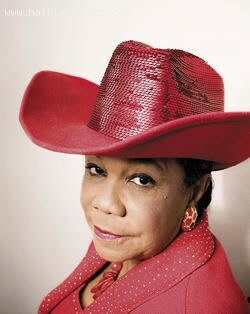 Here is a picture of the congresswoman Frederica Wilson from Florida elected to replace Congressman Meek. 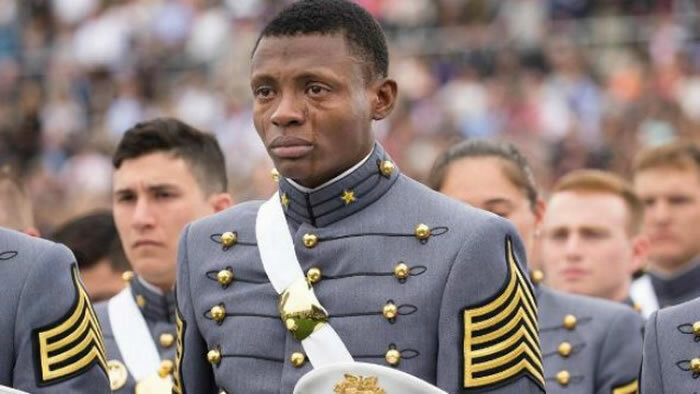 Here is the picture of Haitian-American Alix Idracheas he was graduating from West Point Military Academy. Alix Schoelcher Idrache who arrived in the U.S in 2009 with very basic knowledge of English never thought that he would be ever able to complete his dream courses in the United States Military Academy at West Point. A stunning photo, captured by an Army Staff Sgt. Vito T. Bryant, shows tears streaming down the face of second lieutenant Idrache as he stands alongside his peers at the graduation ceremony on May 21. He has said he never imagined that such an honor would be ever bestowed on him. After moving to the U.S. in 2009, he became a U.S citizen, joined his father to serve the Maryland Army National Guard until 2012. He told Army Sgt. Ryan Noyes that Haitians never grow up to be pilots, they don't dream of flying a helicopter. In July, Idrache will attend the Aviation Center for Excellence at Fort Rucker in Alabama, and begin his course to become a pilot--his cherished dream. The photograph became viral as the military academy wrote in its caption on Instagram and Facebook... ""No greater feeling than that of accomplishment!" Here is a picture of several residents in Little Haiti protesting against gentrification. Gentrification and rising sea level are threatening to destroy the Little Haiti community. 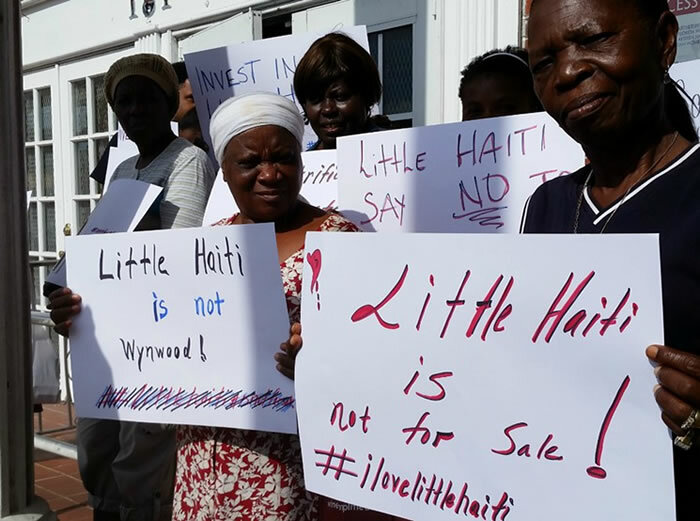 On December 3, 2015, the residents of Little Haiti gathered in Miami's Little Haiti neighborhood to deliver messages about the rapidly changing neighborhood and its preservation: "Say no to gentrification, Little Haiti is not for sale, we want to stay." The Haitian Lawyer Associations are advising the longtime business and property owners of Little Haiti to remain watchful. They should not sign any document without the presence of own lawyer or agree on verbal conversations. Right now, Miami is a red hot market for properties. Once the Wynwood Art District was a home of over 70 galleries and museums and was a haven for local artists in the early 2000s. Unfortunately, the sudden surge in the real estate price, gentrification and higher rent forced many artists and gallery owners of Wynwood to migrate to some other nearby affordable locations. The inhabitants of Little Haiti do not want to follow the footsteps of the Wynwood Art District. Due to the rising sea levels, which could be attributed to the melting of ice sheets in Greenland and Antarctica, the sea water is often seeping in into the streets of Miami from underground storm sewers during high tide. This could be a threatening problem for Miami, but could retard the fast process of gentrification in Little Haiti. On May 14, 2015, the Board of Trustees of Xavier University of Louisiana (XULA) unanimously elected C. Reynold Verret as the university's next president as a replacement for its longtime president Norman Francis, who held the post for long 47 years and helped establish Xavier as a premier historically black university. As the new president, Verret has taken charge of his new office since July 1, 2015. 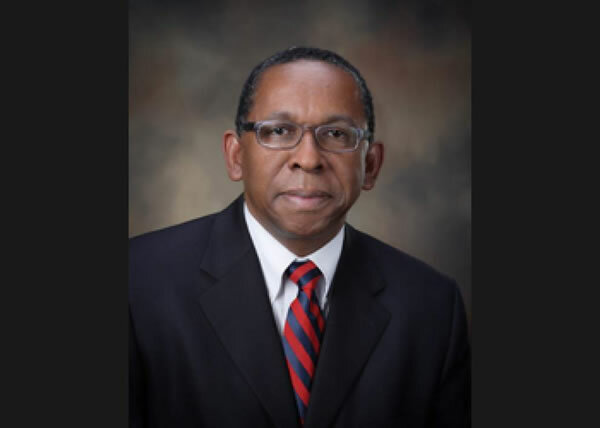 Dr. C. Reynold Verret is a native of Haiti, holds a Ph.D. in biochemistry from the Massachusetts Institute of Technology. He arrived in New York in 1963 as a refugee, served as a postdoctoral fellow at the Howard Hughes Institute for Immunology at Yale University and the Center for Cancer Research at MIT. He has earlier experience with Historically Black College and Universities. He was the Provost and Chief Academic Officer at Savannah State, Georgia's first historically Black college, since 2012. He has an outstanding STEM (an acronym for Science, Technology, Engineering and Mathematics education) background. Here is Canadian of Haitian origin Dominique Anglade who was elected to the National Assembly of Quebec. Dominique Anglade (42) is a member of the National Assembly of Quebec, former president of the Coalition Avenir Québec (CAQ) and the CEO of Montreal International, an agency responsible to promote the city to foreign investors. 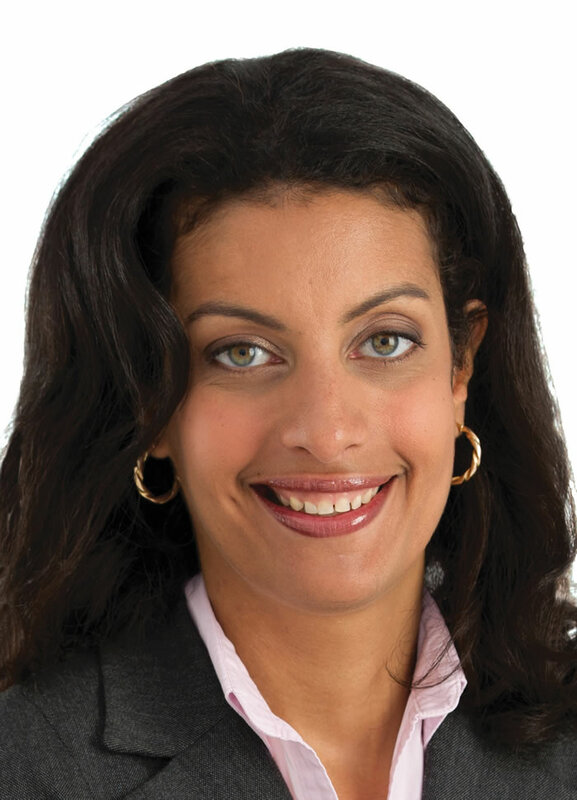 After graduating in Industrial Engineering from the Polytechnic School of Montreal (EPM), she began her career at Procter & Gamble in Ontario in 1996. In 2003, she completed Master of Business Administration (MBA) from HEC Montreal (Hautes Etudes Commerciales). She provides strategic advice to many leading companies. Anglade was born in Montreal, but her parents (Georges Anglade and Mireille Neptune) were originally from Haiti, and had returned to live there permanently. Her father was a writer and professor, co-founder of the department of geography at Université du Québec à Montréal. Unfortunately, both of them died in the Haitian earthquake of January 2010. Anglade is Quebec's new minister of the economy, science and innovation and digital strategy. Haitian-American Arnous Morin, New York top Cop issued most traffic violations. 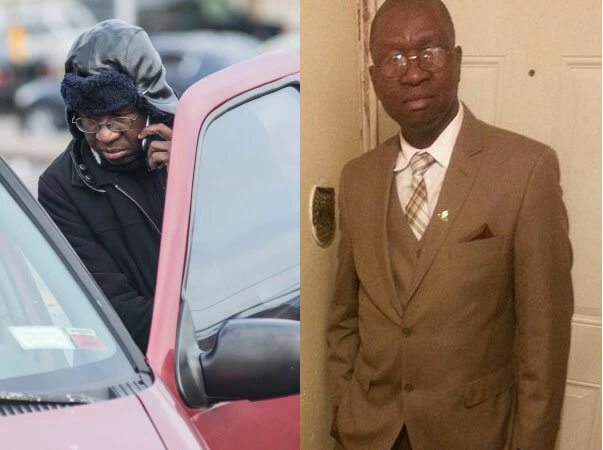 Arnous Morin (53), a Haitian and New York City's top traffic agent has eclipsed his basic pay ($36,000) by over 33 times with the fines he has generated for the city coffers! During the 2015 fiscal year, he wrote 18,953 parking tickets at an astonishing rate- one in every 9 minutes, 45 seconds, amounting to $1.2 million. The most prolific parking N.Y cop says, I'm a traffic agent in my blood." He is courteous to motorists, but 'the law is hard, but it's the law'. In fact, more than half of his citations were made when the drivers did not move their vehicles during the street cleaning hours. Morin earned a civil-engineering degree in Port-Au-Prince. He used to teach mathematics and Spanish since he was only 19 years old and then became the principal of a Catholic school in Haiti. Scared by the aftermath of violent coup ousting President Jean-Bertrand Aristide, he moved his wife and four kids to Brooklyn in 2005 and arrived there himself next year. Since he could not find a teaching job in the U.S., became a parking attendant instead. He is very hardworking, works 12 hours a day on occasion, sometimes six or seven days in a week. Here is a picture of Pierry, a Haitian immigrants from Queens in Republican Ad. The Republican National Committee (RNC) has decided to run a series of advertisement campaign to showcase how diversified group of Republicans actively support and belong to their party. They have released a series of five advertisements on air (at a cost of $300,000) during the Fox Business Republican Debate in South Carolina on Thursday, January 14, 2016. 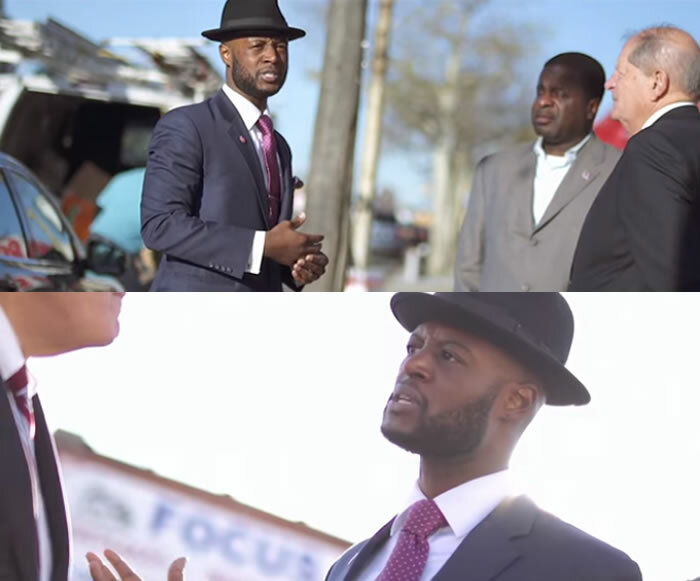 The ads feature Mario, a Latino, first-generation college graduate from Pueblo; Katherine, mother of an autistic child from Tampa, Florida; Vallerie, a community leader from Sarasota, Florida; Mike, a small business owner and 9/11 firefighter from the Bronx, New York; and Pierry, the son of Haitian immigrants from Queens. This is an effort of RNC to win back the White House after realizing how poorly they fared in the 2012 election with 6% of the African-American vote and 27% of the Hispanic vote. Recent comments by their candidate Donald Trump about immigrants has made the situation worse.